Why, it’s the Sesquicentennial International Exposition! 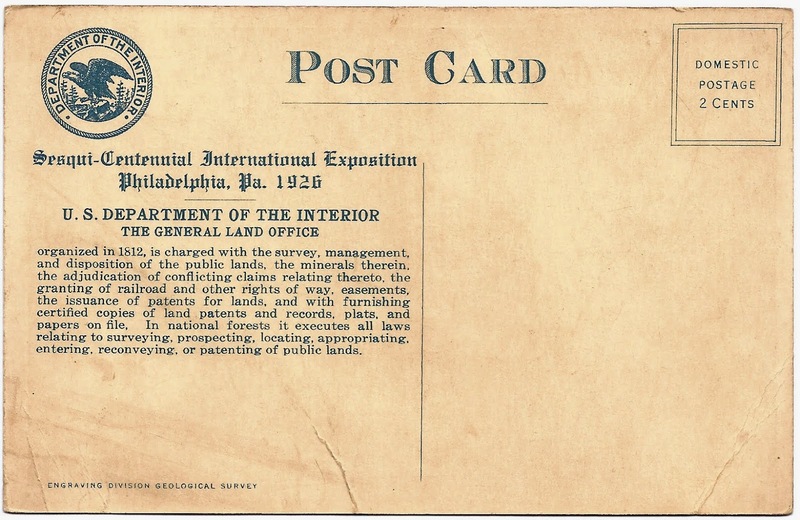 I’m guessing the General Land Office had an exhibit in the ‘U.S. 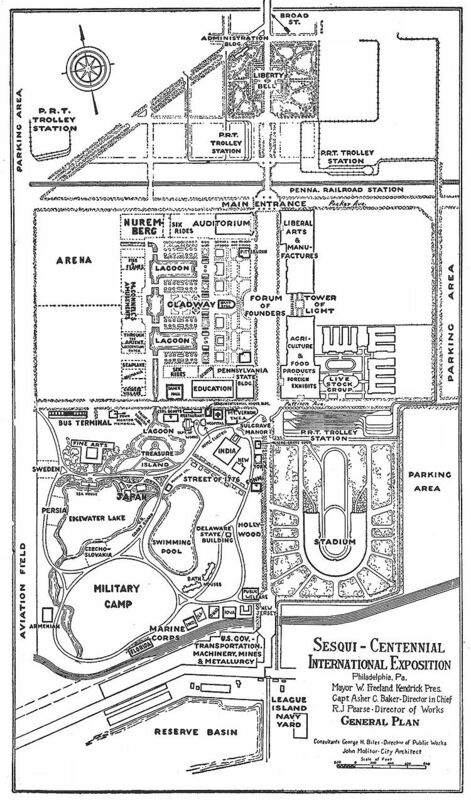 Gov – Transportation, Machinery, Mines & Metallurgy’ exhibit space near the south side of the exposition. What was the General Land Office (GLO) and what did it do? The GLO was formed in 1812 with the mission of selling federal lands to private individuals. But the GLO was more than just a sales agency. They first had to survey and subdivide federal lands into logical and easy to identify and register parcels. Using the township & range system first used in 1785 by Thomas Hutchins to lay out the Seven Ranges area of eastern Ohio, the GLO conducted the largest land survey program in history, surveying, registering and selling billions of acres of public land stretching from the Ohio border to Washington State. In 1946 the GLO was merged with other Department of the Interior agencies to for the Bureau of Land Management. 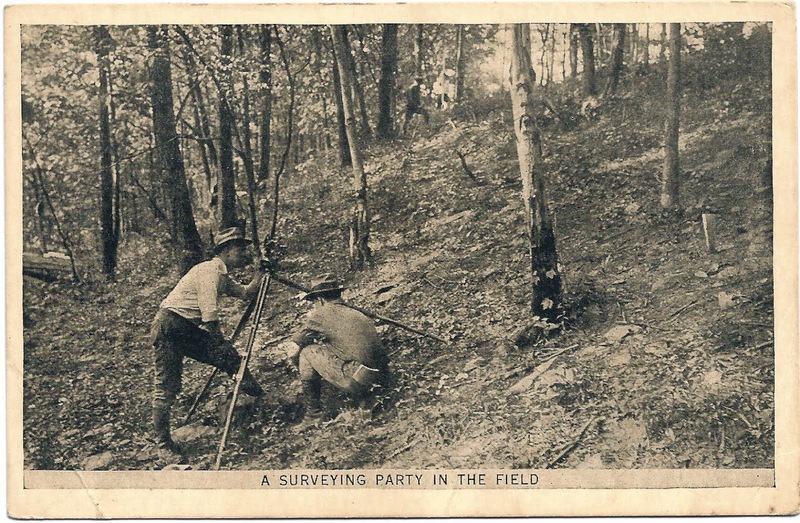 The BLM still conducts extensive land surveys, but certainly nothing like what took place during the heyday of the General Land Office in the late 1800s. By the way, the popular saying ‘land office business’, which that indicates a flurry of business activity (“He’s doing a land-office business!”), popped up in the mid-1800s and refers to the often frenetic activity that surrounded local GLO offices as settlers scrambled to register and pay for their land claims. Selling land was a booming business in the 1800’s, and nobody sold more of it than the GLO! This entry was posted in History and tagged GLO, survey by Brian Haren. Bookmark the permalink.